Is Bowen Therapy helpful for sporting and accident injuries? Yes very much so! The short version is that Bowen Therapy is a soft tissue muscle manipulation and given that the majority of sports accidents are muscular related, Bowen Therapy lends itself extremely well to repairing muscle & tendon damage. A sprain is a damage to a ligament. A ligament connects bone to bone at the joints. A strain is a damage to the tendon. A tendon connects a muscle to the bone. What if my injury is extremely sore? Should I wait till that soreness settles down? No! The sooner you can get to see me the greater and quicker the recovery I can get you. I personally have had phenomenal results on my own injuries where I have worked on them straight away. Because of the way Bowen Therapy is applied and works with the body, I do not have to use heavy force to get results. I have even worked on a friend who came off her motorcycle and as a result had various concerns to address. In that first session, I was literally just extremely lightly doing not much more than dragging/rolling my fingers across the skin to do the moves and we got great results. 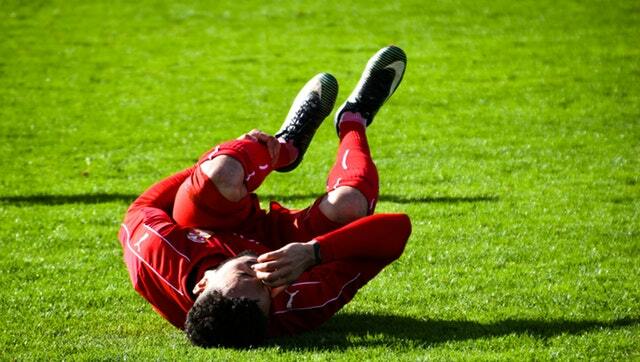 How Is Bowen Therapy Performed for Sports Injuries? Using the specialised techniques, Bowen Therapy manipulates the muscles from misalignment to re-alignment. It also works with the body’s, own self healing capabilities to not only realign the item/s of concern but also to help them repair themselves. At Bowen Relief I will look at the bigger picture. What does this mean? You the client may present with a sore knee. I will not just address the knee but look at the history of what happened to create this soreness, how long it has been present, as well as the obvious presenting conditions. I will also where applicable give you stretches to do at home to help your recovery both long term and short term. When should I come for treatment and how often should I book appointments? Unlike some other modalities, within reason, I want to see you as soon as possible. Please note: Subject to the circumstance – it would be advisable to see your GP or medical professional and possibly get x-rays, MRI’s, Ultrasounds etc. to identify or rule out if there are any greater issues that need to be addressed. If you suspect any sort of fracture, break, concussion, skeletal damage, severe muscle tear, internal bleeding, dizziness, vomiting, heart palpitations or similar – see your medical professional first. Barring the above – the sooner you get to me – the sooner I can get to you and the greater the chances of recovery. This has been proven on many occasions. What if I have had this injury for many years? If you’ve had it for many years then you’ve had it for many years. Nothing you do or say from here on in is going to change that fact, and doing nothing about it isn’t going to improve the situation. The reality is that with most long-term injuries and concerns – my own included, it becomes a case of managing them more so than eradicating them. It will give you a greater quality of life! How often do I need to book a session of Bowen Therapy? Typically when you come to see me for the first time I want to see you once a week for the next 3-5 weeks (depending on what you present with and the governing circumstances). After this time if I am doing my job right and there is not something else sinister going on then I would be hoping to start spacing you out to once every 2-3 weeks, then once every 4-6 weeks or if you are recovered then send you on your way until next time you need me. Of course, if the injury is re-aggravated then that changes everything and we deal with things as they present. A lot of people, myself included will go onto a once every 4-6 week maintenance program just to keep the body balanced and on top of things. Can I see other modalities such as Physio, Massage etc. at the same time as Bowen Therapy? Typically it takes 24-48hrs for a treatment to start working on a body and then another 4-5 days for the body to start repairing itself. This is especially the case with Bowen Therapy. I am not against any other modality. They all have their place. It is advisable for you the client so as to get maximum benefit from your money that you give your body this time. This way you the client knows what treatment is doing what for you. I the Bowen Therapist then knows what is happening from my treatments. The other therapist also knows what is happening from his/her treatments. It is a common misconception that having several treatments a week is the quickest way to recover from an injury. Generally if anything it is the quickest way for that therapist to pay for a holiday. There are cases where this may apply however in the majority of cases I disagree. Look at it like this. You have an accident in your car and it needs to go to the panel beaters with extensive damage. It will take the panel beater 1 – 2 weeks to fix it. Do you take the car to different panel beaters every second day to try and speed up the process? No! You leave the car there. It is no different with your body. What can work well is perhaps alternating modalities on a weekly basis e.g. 1 week Bowen, next week massage, following week Bowen, next week massage etc. Preferably but not essential if you can have at least a 5-day break from any other treatment from any other modality before I to see you.